Rookie Sun also joins the organization. Jungler Galen “Moon” Holgate will join Clutch Gaming’s academy roster for the upcoming Spring Split alongside rookie mid laner Josh “Sun” Cook, Clutch Gaming announced on social media. Moon joined FlyQuest in January 2017. He was the only rookie at the time in a team of veterans and was tasked with aiding one of the newest organizations in the NA LCS to victory. Moon had a blistering start to his FlyQuest career, helping the team win vital matches at the start of the 2017 Spring Split. That run didn’t last long, however. 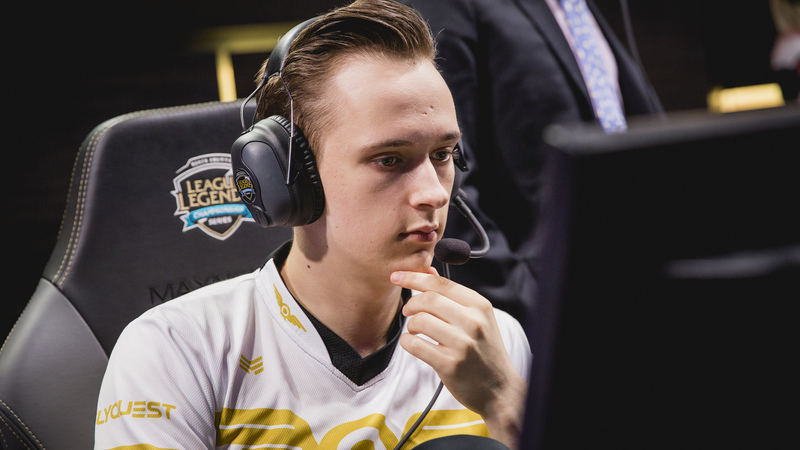 The team finished the Spring Split in fourth place after losing to TSM and Phoenix1 in the NA LCS Spring Playoffs. In the Summer Split, FlyQuest missed out on the Summer Playoffs altogether, finishing seventh in the group. They then failed to make an international debut in their first season after losing 3-1 to CLG in the NA LCS Regional Finals. Sun sees joining Clutch Gaming’s academy roster as a chance to further help his development. “I joined Clutch because I felt this would be a great opportunity to develop myself as a player as the team offered the opportunity of playing with other experienced players and staff.” Sun said in Clutch’s announcement. Clutch Gaming is now only missing a top laner, ADC, and support for its academy lineup and is planning to announce the final three members of the roster in the next few days.